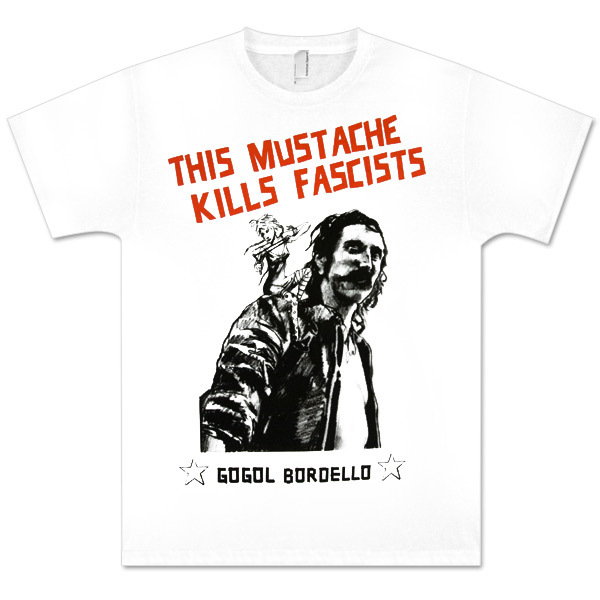 White T-shirt - Front print of Eugene portrait with Sally on shoulder and red "This mustache kills fascists." Cool shirt. The image on it seems pixel-y but still cool. Wish there were more cool shirts for women. Ended up with a men’s shirt due to the lack of options for women.